How can I resist these pizza puffs? They'd be perfect for breakfasts on the go, and I know I'm always on the search for new options! These wontons look like they'd be really tasty without being too much work. Good thing I just got some wonton skins - now I know how I'm going to use them! I just realized that it's been far too long since I've had hush puppies. Part of the reason is I don't really like deep frying stuff, but since these hush puppies are baked, I look forward to making some soon! What a great idea! 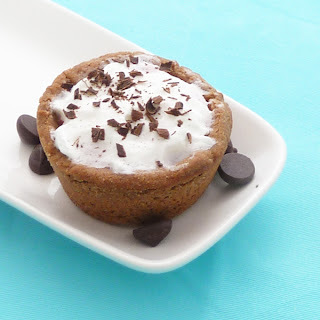 My favorite cookies are chocolate chip, and now I don't have to decide whether I should have cookies or ice cream for dessert - I can have both! A perfect way to combat this scorcher of a season! 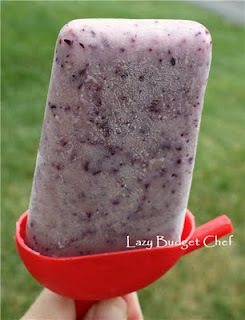 I think I'll make some of these popsicles soon since I just got a some blueberries and yogurt! >It has been a warm summer, hasn't it?! The popsicles look like a must-make to beat the heat. >@SnoWhite - seriously! Although after the rain, it's supposed to reach a cool 91F here. Hope you're staying cool!